When someone uses your personal information without your consent, you are the victim of identity theft. One of the easiest ways for someone to access your assets or use your identity is if they have your Social Security number or card. Additionally, if you own a credit card, you are also more vulnerable to this crime. Today, we are going to take a look at ways for you to prevent someone from stealing your identity and assets. Keep reading to learn more. Many people are in the habit of using one password for all their accounts and login details. In many cases, these passwords are simple and derived from things like birthdays and names of grandchildren or spouses. To maximize the security of your accounts, strengthen your passwords by changing them to random letters, numbers, and symbols. Also, make sure that you change them regularly. How much information do you share about yourself on social media? If your full name, cell number, email address, birthday, and list of family members are clearly visible to anyone, you increase your risk of falling prey to identity theft. By limiting the information, you share, you make it harder for people to use your information without your consent. Also, consider investing in high-end antivirus software to increase your online security. Your Social Security number is your primary governmental identifier. If you are playing fast and loose with this number, you run the risk of falling victim to identity theft. To safeguard your Social Security number, don’t give your Social Security number to any person that asks for it, and don’t carry your social security card with you. If you lose your card or if it gets stolen, don’t wait before reporting it to the credit bureaus, Internal Revenue Service, and your credit providers. Freezing your credit will prevent anyone from obtaining credit in your name. If you don’t use professional services, the application filing process for a replacement card will be long and complicated, so contact the Social Security Administration as soon as possible to find out what you need and start the process. In many cases, identity thieves obtain your personal information by taking your mail. Take your mail out of your mailbox every day and arrange for someone you trust to collect your mail when you are out of town. Consider installing a lockable mailbox that is approved by the U.S. Postal Services to increase the security of your mail. 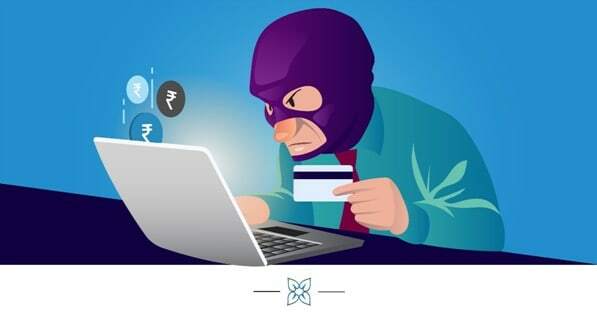 Always keep an eye on your credit card and bank account activity. Text notifications can be incredibly helpful to know instantly when someone has access to your financial assets. Preventing theft of your identity comes down to being alert. If you expect a bill, for example, but don’t receive it, call the sender and find out what is going on. Protect your handheld devices with passwords and use reputable third-party payment processors if you have to make a payment to an unknown entity.